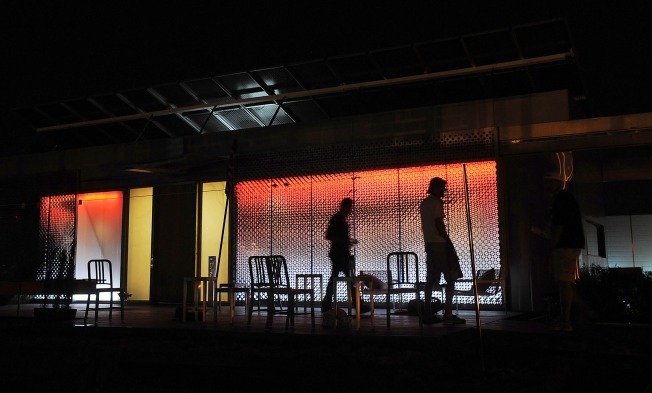 Bumped from the Nation's front yard, the teams competing in 2011's Solar Decathlon aren't leaving quietly. Secretary Salazar, you have spoken of your eagerness to be involved in crafting an ‘energy moon shot.’ Secretary Chu, you have recently called upon America to recognize that China's recent gains in clean energy industries should serve as a new ‘Sputnik moment’ for America to reclaim its clean energy leadership. The students who have worked for two years toward this year’s Solar Decathlon have listened and responded to these calls to arms. These students deserve to showcase their talents at our country's center stage and to be part of the great history of the Mall. CalTech's Elizabeth Neigert is heading up mobilization of students, who are asking their university government affairs offices to bring up the issue with elected officials, as well as meeting with senators, representatives and ambassadors themselves. There's a short timeframe: She expects that the feds will make a decision on where to stage the competition within the next week or so. On Monday, the subscription-only Energy & Environment Daily reported that the Department of Energy was trying to keep the competition in or near the District, but was also considering St. Louis, Chicago, New York and Los Angeles. Here's the problem with moving the Decathlon off the mall, logically speaking: Many of the 20 teams have already booked plane tickets and hotel rooms (four of them from overseas). They've even considered the lighting conditions of the Mall for how their entries will be set up. Some have big-ticket sponsorships from companies -- like, for example, Dow Chemical -- that are contingent on the level of exposure the National Mall would offer. The biggest motivator, though, is prestige. Especially after President Barack Obama's State of the Union rhetoric about energy innovation -- and the recent announcement of a solar decathlon in China -- robbing the contestants of their pedestal seems especially hypocritical. If need be, Neigert said the teams may try to legally enforce their contract with the Department of Energy, which explicitly mentions that the event will take place on the Mall. "We don't want to take that route, but we are all outraged," she said. "It's demoralizing. It makes you feel like the work you're doing isn't that important." Another possibility, however, has been floated on local listservs: Holding the event in Anacostia Park. It wouldn't mess up travel or accommodations, and has ample space. And although it wouldn't be as in-your-face as the Mall location, it carries with it an environmental justice dimension, considering how hard solar advocates push the value of their technology to lower income communities. Few higher-profile events have occurred east of the river, and the more that people get used to crossing those bridges, the better. Perhaps, if they don't get the Mall, the decathletes could at least take solace in that.